Rehana Azam is the GMB's NHS National Officer. Since joining the GMB in 1998 she has been responsible for organising and representing union members across the public and private sectors and has led both the GMB Process & GMB Equalities sectors. When she was given responsibility to lead on the union’s NHS work in 2012, she was one of the youngest people to be appointed as a GMB National Officer. 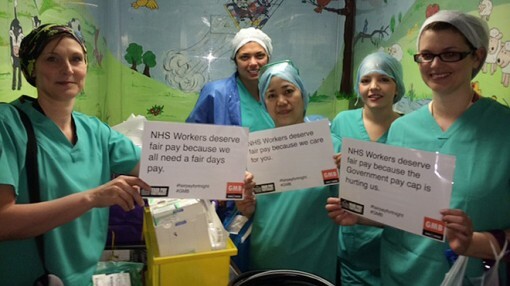 Our NHS pay system & the principles behind collective bargaining are under attack!